I have been a fan of Marvel and the X-men ever since I was a child. I was always into the big characters (you know, the tough guys that always smash things.) 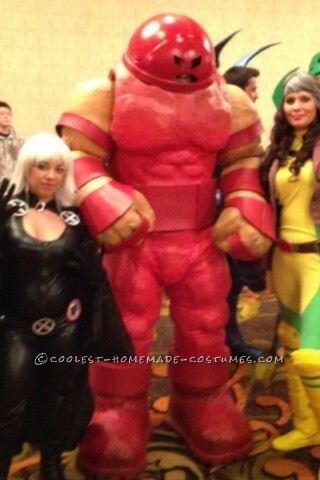 My character is “the Juggernaut”. He possesses incredible amount of strength, invulnerability, and stamina. Once the Juggernaut starts moving he cant be stopped. Nobody messes with him. I used green cushion foam for the body, e.v.a foam (yoga mats) for the feet, and spandex fabric under latex for the skin. Tools I used were scissors, razor blade, electric knife, spray adhesive, gorilla tape, hot glue gun, and a dremel. Easy DIY Costume for a Toddler Girl: Agnes from Despicable Me!